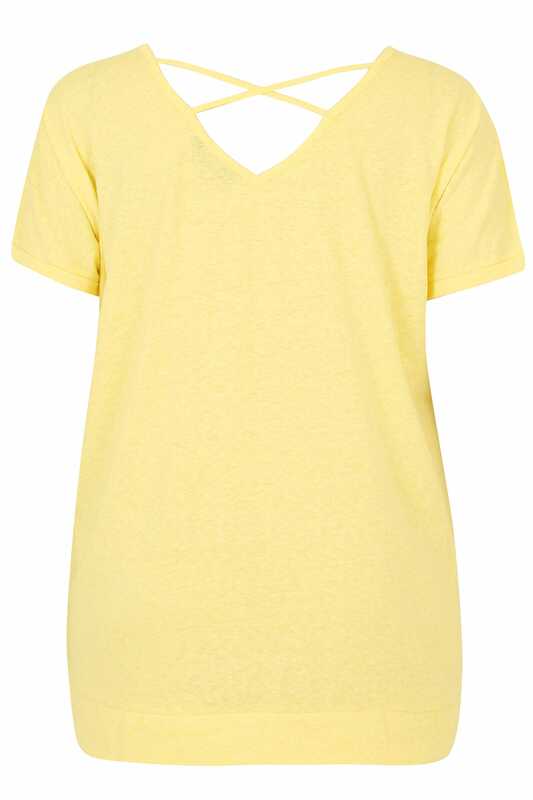 Keep your look simple with this pretty t-shirt. Made from a jersey fabric, it features short fold-over trims and a rear v shape cut out with cross over straps. Team with denim and flats for a relaxed daytime look. 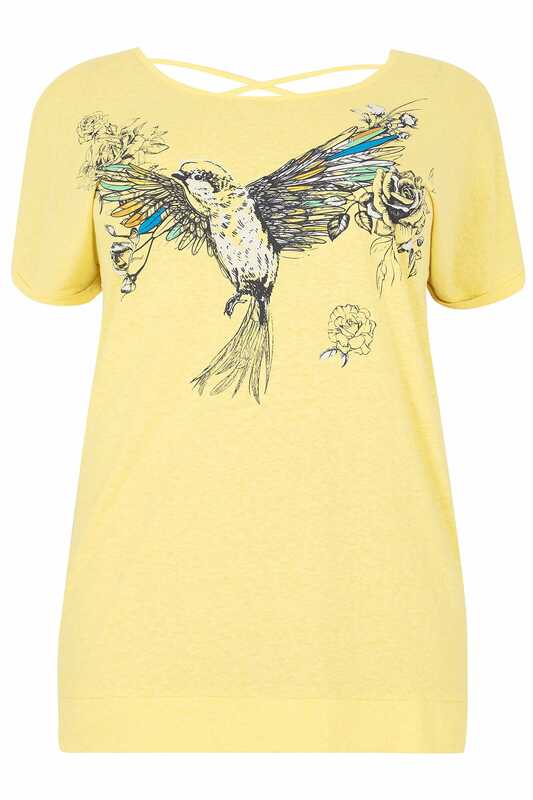 We love the statement bird print and its bright yellow hue.